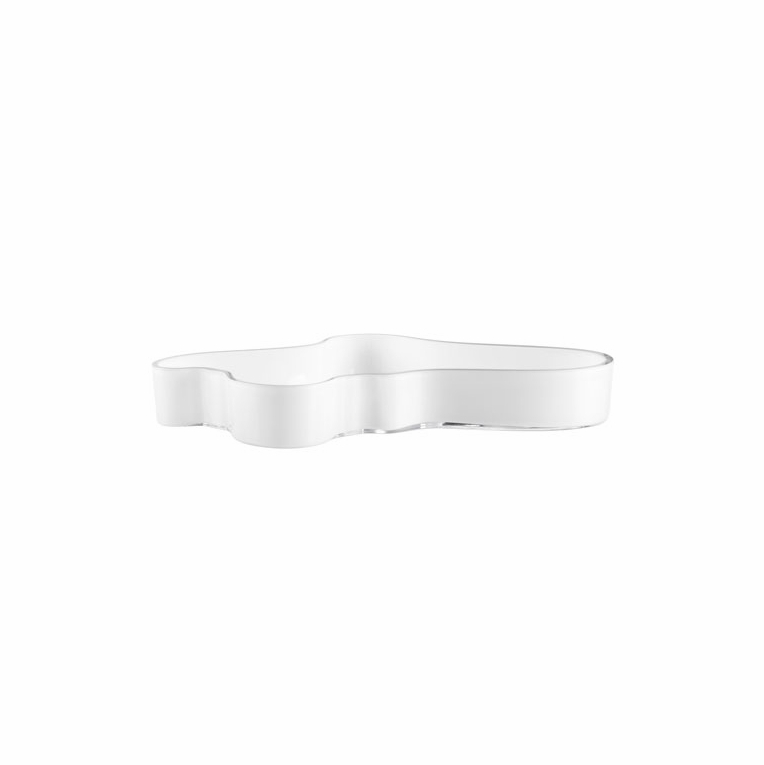 A classic gets a fresh silhouette on the iittala Aalto Large White Tray. Stunning white glass gives this large tray a clean, fresh look. Its larger size makes it ideal as a serving piece, while its classic lines make it equally well suited as a centerpiece. Simple yet elegant, this tray combines function and design in a completely original manner.